As bad as things are now, we don’t have *Batteries Not Included in the White House anymore and we didn’t wind up with Hillary. Every day give thanks for that. And we still have Godzilla. The Bible tells us in no uncertain terms that God is not going to let the bad guys win. They were riding high in 2013. They had a great fall in 2016. It’s true that if we put the Democrats out of business, in a very short time another group of villains would arise to take their place. Their politics seeps out from the dark places in the human heart. This will always be with us, until Our Lord Jesus Christ sets His throne upon the earth. And then it will be with us no more. 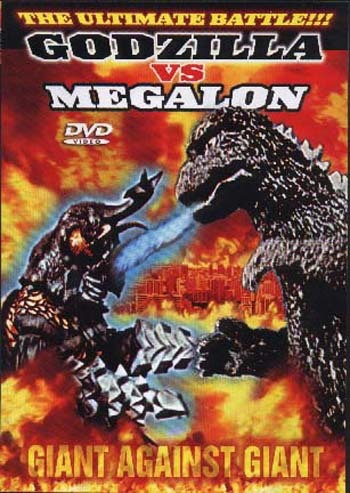 This entry was posted on Wednesday, February 13th, 2019 at 10:20 am	and tagged with cultural musings, Dems hate America, godzilla, Godzilla movies, Godzilla vs. Megalon, liberals vs. Christianity, politics, thanksgiving 2013 and posted in Movie Reviews, Pop Culture. You can follow any responses to this entry through the RSS 2.0 feed. I used to wonder how Godzilla went from being a bad guy to being a good guy — and then I remembered that some of the professional wrasslers of the 1950s and 1960s used to do that as well, changing back and forth as the current show required. (Note the spelling, “wrasslers,” to distinguish the performances from actual sports.) I particularly remember Soldier Barry as one of these. I happened to see him outside the arena after one of his “bouts” and mentioned that he’d been a bad guy last time and today he’d been a good guy. He tried very hard to act remorseful, saying that he’d “thought things over and realized,” etc., etc., but we both knew what was what and that I was just being a smart alec. I have to say, though, that he was a real gentleman about the whole thing. And yes, I used to go to these performances in my benighted youth. They were very entertaining and I knew no one was really getting hurt except by accident. By the way, Lee, I don’t know whether it’s my system or (sigh) WordPess, but I suddenly have to keep entering my email and name every time I comment, instead of having WordPress remember me from post to post. Is anyone else having this problem? No one else has mentioned it, Phoebe. Erlene’s been having similar problems, but she thinks it’s her computer. Patty and I went to a lot of wrestling matches–unbridled fun! Never got to talk to any of the wrestlers, though–although a friend of mine once shoved an autograph book at Gorilla Monsoon and got it thrown back at him. That was back when Gorilla Monsoon was still supposed to be a savage from the wilds of Manchuria instead of a high school football player from upstate New York. My computer system or something, keeps disabling comment, placing these posts in the wrong compartment of the inbox, etc. I can usually get it fixed, but not always. Doing the best I can. Myself, for one. I think WordPress “improved” their site, again. “The Bible tells us in no uncertain terms that God is not going to let the bad guys win.” Why didn’t I know this? Please tell me where. All this time I’m thinking ‘the bad guys will win in the end days because it Is Written.” Every time the bad guy lost, I thought “well, it’s just not in God’s timeline.” I’m relieved, but was wondering if you had the time or inclination to enlighten me further. Thank you. In the last couple chapters of Revelation, the Devil, the Beast, the False Prophet, and their whole gang get thrown into the Lake of Fire–and they don’t ever get to come back.